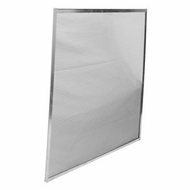 Type LS Air Filters - Airsan Corp.
Airsan Type LS or “lint screen” filters offer basic filtration of low-velocity applications, or applications with very low particulate density. These air filters are typically thin single or dual-layered screen wire filters that eliminate risk of filter media failure. Type LS filters work well for cottonwood seed filtration on light commercial and HVAC equipment.